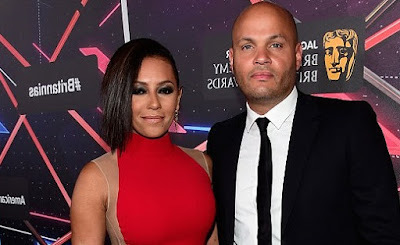 She has finally been granted a divorce from Stephen Belafonte after a less than amicable split and bitter court battles. And Mel B - real name Melanie Brown, 42 - has now shared a heartfelt Instagram snap with the quote: 'After's my father's death, nothing could touch me anymore' - along with a lengthy and emotional caption. 'For example, I've felt all morning I have the devil on my shoulder whispering in my ear “your not strong enough to handle the storm“ so after I finished my morning routine, cooking my kids breakfast and feeding my two frenchies and my 2 fainting goats thought hold on a minute stop. 'Then I started yelling back to this diablo “ I AM the frigging storm “ boom. 'People often say to me (amongst other things haha but I will address those things in another post) ,”oh Mel B your so strong”and I have to think to myself, yes I am strong, but listen I’m only strong because I’ve been incredibly weak and during that weak time I taught myself how to access my inner strength,and I did, listen In my life I have been through many different situations that not many people know about. 'I've have been close to death literally and paralysed with fear which in due course over time has made me fearless extremely fearless. Some say “oh that Mel B is Spontaneous and CRAZY” plzzzzz,to that I say nooooooo, it’s called living in your truth and following your inner voice and trusting and believing that you are guided even when logic would say otherwise. 'I use to think I was the strangest person in the world, then I thought, come on now there are so many people in the world, there must be some people out there just like me who think like me and aren’t afraid to feel they feel bizarre and flawed in exactly the same way I do,and embrace it,I would imagine and still do there are many people out there thinking just like me and are exactly like me too. 'So I hope and pray if your out there and you need this message, yes it’s true, I’m here and we all find each other at the end of the day, credence and faith. That’s just the ways of the world and the law of attraction. 'So be careful who you invite into your soul,surround yourself with people that are only going to take you higher whether that be spiritually or physically,' it was concluded. Her post comes after a Los Angeles Superior Court judge finally granted Mel and Stephen Belafonte a divorce judgement on Friday after months of bitter court battles. She has agreed to pay $200k of Belafonte's attorney fees by February 8 and both will split the proceeds from the sale of the businesses they started during their marriage.